Гость→ Просматривает новость: Regulations by rules of sponsoring of a contest the Cup "4 seasons with RCWC"
RCWC » News » Regulations by rules of sponsoring of a contest the Cup "4 seasons with RCWC"
Since 2015, rewarding following the results of a year in the Cup "4 seasons with RCWC", is provided to any radio fan to the patron having a call sign, and also not having call sign who can note and award at the good will any winner or the prize-winner in these competitions, in any class or group, having paid with money transfer award cost. Options of awards and for not prize-winning places, and for any place or the new group offered by the sponsor are possible. For example for the 5th place - anniversary to our Club in 2015, or to the best participant of their Krasnodar Krai in such group. Any imaginations of the sponsor are welcomedName of the sponsor, his call sign and a photo will be published in the summary table on the website of club where will be specified for what place in what class and group he awards the participant. Besides, on the award (for 2015 it is a plaquette, and changes as prize attributes and cost of an award are possible further) his call sign as sponsor will be specified. The quantity of the sponsored prize-winning places isn't limited. In the summary table which will be available to all will be displayed for what place in what class and group the participant is awarded with this sponsor. And also the number of the sponsored participants, by each sponsor separately will be summarized. On achievement of 5 pro-sponsored awards the sponsor is awarded with a medal of club, and for 10 awards - an honourable plaquette. 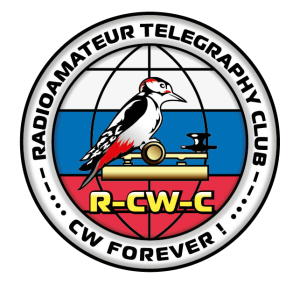 Within a year, since January 1, 2015, and until publication of official results of the last (autumn) stage of the Cup, each sponsor has to write the letter to the President of club to the address ra3dh (AT) mail.ru (at the moment) and report about the desire to prosponsirovat one or several certain places or groups. After receiving from the President of club of the letter with confirmation of the accepted offer he transfers the necessary amount of money (at the rate of 2000 rub for one plaquette) on the Account number SberBank Visa Maestro Card: 63900244 9084558313, having notified on it the President of club. On receipt of money transfer the chosen/chosen places are reserved for this sponsor. The basis of these regulations is taken according to the reference with the permission of the UA9OA developer Alexander Pashkov for the competitions RAEM.